Here's Our First Look At Netflix's "Chilling Adventures Of Sabrina"
I'll be watching this from behind my hands. I'm sure you know this by now, but if you didn't: Netflix is producing a show about everyone's fave teenage witch, Sabrina Spellman, based on the comic series The Chilling Adventures of Sabrina. The show — which is set in the same universe as and produced by the showrunner of The CW's Riverdale — will star Mad Men's Kiernan Shipka as Sabrina. Yesterday, Netflix unveiled a new poster for the series, which definitely gives us a hint of the classic-horror-slash-occult vibes we've been promised for the show. And now we have our first official teaser of the Chilling Adventures of Sabrina — and, uh, chilling is right. In the teaser, a seriously creepy voice sings "Happy Birthday" while we're treated to shots of things like the Spellman Mortuary, where Sabrina's aunts apparently practice their witchcraft in secret. Then we have a class of students learning about demons (judging by the blackboard), which is fair. I mean, what else would students be learning about? In more positive news, it looks like Sabrina has found Harvey Kinkle, which is nice for her! I hope!!! But, wait, forget I said anything because everything here is clearly still terrifying. And Sabrina's in a bathtub in the woods, which frankly doesn't seem safe. But at least people came to her birthday party, right? Like, it looks like the devil is there. But at least he came! Overall, there's just a lot going on here. And I can't wait. 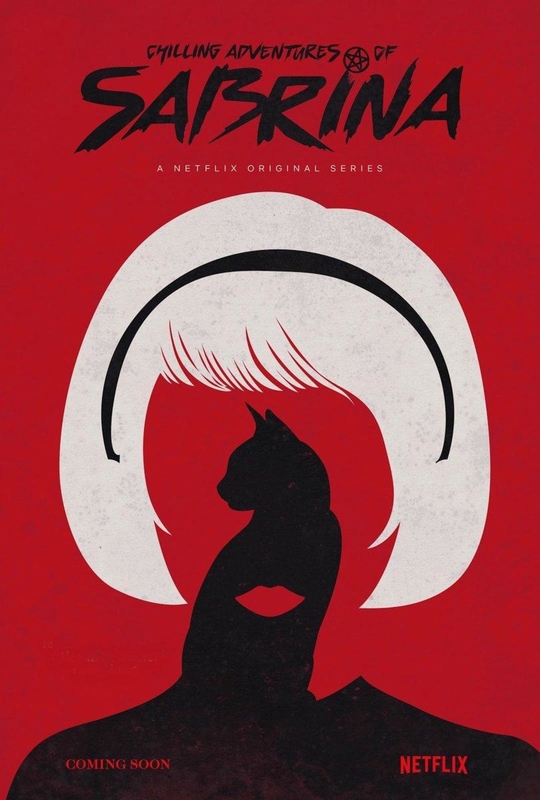 Chilling Adventures of Sabrina debuts on Netflix on October 26.